Good and effective leadership manifests itself in varied forms. The ability to take decisions rather than avoid them for personal convenience constitutes an important quality of a leader. In the past few weeks the President has demonstrated such attributes and their effects have been far-reaching. 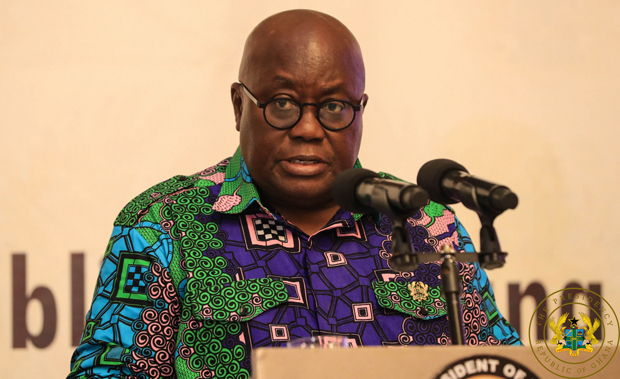 He has not turned his attention from recent developments as in the hullabaloo over the shooting incident in a section of the Ayawaso West Wuogon constituency when the electoral area went for a bye-election recently. For us, the empanelling of a Commission Of Enquiry into the unfortunate incident, a presidential action, is indicative of good governance of the highest order and sets him apart from others. For those on the other side of the aisle who see nothing good in what others do to advance the cause of this country, what a subject for their discourse and possible review of stance! Of the chronicled bye-elections vying for the most violent position in the history of the electoral process, none has ever been subjected to such a scrutiny. For those still unsure about what constitutes good governance, this is but one of many in recent times. Blazing the trail for future governments to tread on for good reason is exhilarating. We are elated that we joined the many voices who asked for such action from government just so the records would be set straight- minnow the grains and put the chaff aside. The membership of the Commission, not a Committee, points at a Presidential touch which is what makes the assignment even more respectable and shows clearly that no cover-up would be entertained if at all. Even as we clap our hands for the President for taking such a move, there is something missing in the terms of reference: the rectification of which would eliminate the nasty feature of bye-election violence nurtured and perfected by the NDC over the years. All the bye-elections conducted in the country have been fraught with violence; some affecting the integrity of the electoral process yet no political leader had ever thought of probing the causes with a view to addressing the recurring bloody feature. Although the recent bye-election comes nowhere near the bloody ones in previous bye-elections, the President has thought it wise to have it interrogated. When the Commission cranks into action, important findings would be made which would prime us as a people to deal with future electoral processes in civilized fashions, nowhere near the Atiwa or Talensi polls. It would be in the interest of good governance and for our political growth if the previous bye-elections are also probed to determine why the process continuous to suffer avoidable violence. This, when considered, would put the Ayawaso West Wuogon subject in a better context for the treatment the President and indeed the people of Ghana are seeking. It is not too late to do so although we agree that the one month time frame might not be too ideal for such an additional footnote.